The famous Buddha-bar is now open in the Philippines! Buddha Bar is a global chain of high class restaurant-lounges located in cities such as Paris, Washington, Dubai, Monte Carlo, Keiv and now Manila. 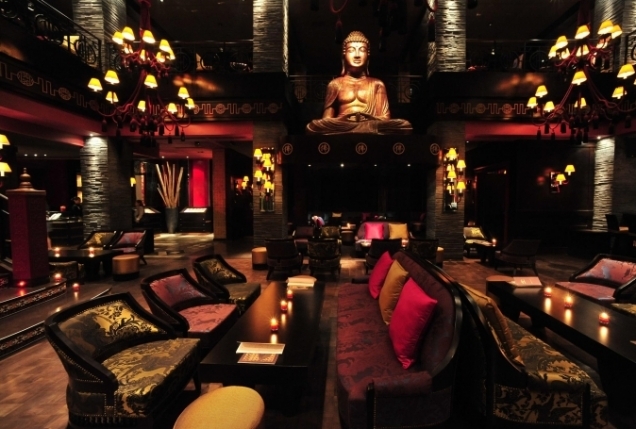 Buddha Bar in Manila is the 13th official Buddha Bar in the world. The brand new luxurious Buddha-Bar has 3 floors (the lounge, the restaurant and a roof deck) and has over 500 seats to accommodate guests for drinks and/or food. The signature black, red and gold interior is truly amazing. The restaurant/lounge has an awesome Asian temple-like design with huge staircases, a giant Buddha, lounge tables, stylish bars, DJ Booth and VIP Rooms. The restaurant offers a great selection of Asian fusion such as sushi plates, curries, bento boxes and Vietnamese springrolls (Must try! ).